Nov 7, 2016 | 15:44 31 Kato was our cat. She got her name because we are Inspector Cluseau fans, and she like to ambush people. Nov 7, 2016 | 16:03 32 I used this handle because I am the 4th generation to farm our land. Not that creative but it seemed fitting! Nov 7, 2016 | 16:18 33 No story, just our initials, but enjoyed all yours. Nov 7, 2016 | 16:35 34 Cotton got me sifting through archived emails I have in offsite storage. Some of you collect "stones" - I collect old emails. Some of the email exchanges that Chad (Cotton) and I had are hilarious. I was LarryWeber until 2002 and someone decided (Charlie??) they didn't like anyone using real names. I was Incognito ( as in username Incognito) for about 5 years after and have been LWeber since about 2008. Nov 7, 2016 | 17:23 35 I grew commercial herbs for a long time. Swathed many of them. Dried them in a drying shed. Air and heat. Cleaned them. Screened them. Graded them. Bagged them. Summer savoury. Thyme. Coriander. Anise. Basil. Garlic. Lemon basil. etc. Parsley was one of the herbs. Loved it. Gotta have a good sense of smell for growing herbs and spices. Parsley. Kato was our cat. She got her name because we are Inspector Cluseau fans, and she like to ambush people. Nov 7, 2016 | 17:40 37 Parsley, do you grow Tarragon? Excellent with rice cooked in chicken stock and a bit of butter.... delectable---even better if you throw in some good old Saskatchewan wild rice!!! Parsley, do you grow Tarragon? Excellent with rice cooked in chicken stock and a bit of butter.... delectable---even better if you throw in some good old Saskatchewan wild rice!!! Yes. I used to continuous-harvest a large patch of perennial French tarragon. And dried it etc. Really good products. Herbs are fascinating to grow. They expel their essential oils and then breathe them back in a again. Fascinating agriculture. Nov 7, 2016 | 18:17 39 I'm not very creative so used parts of my last name. ......not too flattering of a nickname....should have showered with warmer water. 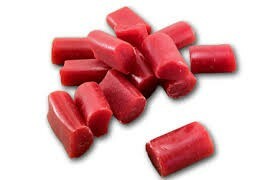 Thats what i meant, I was always eating nibs in the dressing room. What did you guys think?? Nov 7, 2016 | 18:38 41 Love the stories, keep them rolling. Not too creative here. 71 is year I was born. Yes, that makes me 28 years old. Nov 7, 2016 | 19:23 44 True story...I milked cows. Nov 7, 2016 | 19:37 45 Holy crap bucket. ...I have a funny story too. After school I had to do chores...we used to gather the eggs in an ice cream pail. So one day I head out, like you, with this pail on my head....then not remembering I had it on my head I go back to the house and ask for the egg pail! Maybe I should have been nick-named egg head? Nov 7, 2016 | 19:39 46 Last name is Irish so I've always been fairly interested in Gaelic. But most Gaelic words are scary to look at let alone pronounce! But I stumbled upon Blaithin which wasn't too intimidating to look at and it means "little flower" which I thought was cute. And a bit more interesting than just calling myself the Gaelic word for cow - which could have multiple backfire issues. So over the years and various Internet forums I've caried Blaithin along with me and conveniently rarely ever run into it already being in use! Rather inconveniently, but not surprisingly, it isn't actually pronounced anything like its spelled though. So I guess I have a completely made up Canadian pronounced name! Nov 7, 2016 | 19:49 47 Not very original but I like to do the tillage, lots of time to think. Nov 7, 2016 | 20:08 48 When we first got internet, wanted one email addy without my name. Was fiddling with a 45-70 at the time loading it with blackpowder. Also was into cap and ball revolvers. Led to a Sharps 45-110 replica etc. (They breed). I only use it on internet. But fits. My earlier career was filled with diesel soot and dust. My school names would not be appropriate. Nov 7, 2016 | 20:30 49 Great story Blackpowder. Always pictured you as a front loader not a BPCR guy. It's a wonder you didn't pick Quigley as a name although his Sharps was a 45-90. Nov 7, 2016 | 21:59 50 Mine is pretty boring. Parts of first and last name. I joined in 2002 and after I saw some of the creative names you all were using I wanted to change mine but never have. I have enjoyed reading how you all have come by your names. Nov 7, 2016 | 22:23 51 Tractor I own. At the time I joined there already was a WD9 and Farmall so figured I'd add another tractor. Nov 7, 2016 | 22:28 52 Well there was this girl. She had introduced me to agriville. I was in love with her. But we lived far apart. For some reason we were not talking much right then. I wanted to post something here and wanted her to know it was me. We had recently been discussing the book 'Nudge' by Richard Thaler. So I chose that. And by the way she is now my wife and there isn't a day that goes by that she doesn't amaze me. Nov 7, 2016 | 22:58 53 Just your back to basics farmer. "Why can't we just farm?" Well there was this girl. She had introduced me to agriville. I was in love with her. But we lived far apart. For some reason we were not talking much right then. I wanted to post something here and wanted her to know it was me. We had recently been discussing the book 'Nudge' by Richard Thaler. So I chose that. And by the way she is now my wife and there isn't a day that goes by that she doesn't amaze me. Aw you can't make up stuff sweeter than that. Good for you! A great behind the name story. Nov 8, 2016 | 00:17 55 Needed an email handle and liked ColdCanuck, but it was already used and so was ColdCanuck1 up to ColdCanuck10, so I changed the spelling around and stuck. Nov 8, 2016 | 00:53 56 Once was a victim of internet theft and needed to change handles. First thing needed was new pen names all around and any real Sherlock Holmes could figure out the rest. Such detectives might find a couple of traps that would lead to wrong conclusions...but really the objective always has been to provoke some thoughts among those who firmly believe only that which confirms what they already know. Short story long...so far as I know...no one has yet tried to hijack a pen name that could be expanded into one of f'ers..
Last edited by oneoff; Nov 8, 2016 at 01:05. Nov 8, 2016 | 01:57 57 Mine is kinda boring now, should have came up with a better story, I guess. On some other reddit or something I saw pretty good names like Cow Paddy and some off-colour ones like one starting with Master and Buster. Nov 8, 2016 | 05:43 58 Breadwinner, I picked that because my wife has a better paying job than me. She is actually the breadwinner in our house. I guess I hoped to catch up to her someday. Last edited by zeefarmer; Nov 8, 2016 at 08:24. Nov 8, 2016 | 09:17 60 Mine is my name. I couldn't trust myself if i posted anonymously. This way i don't get posters remorse.